Hi everyone. 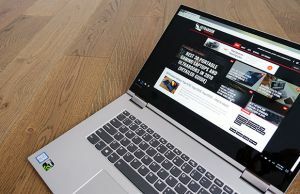 This is my review of the much awaited Asus Transformer Book Chi T300, a sleek 2-in-1 detachable that is selling for $699 and up (at the time of the post, but it will surely get even more affordable down the line). 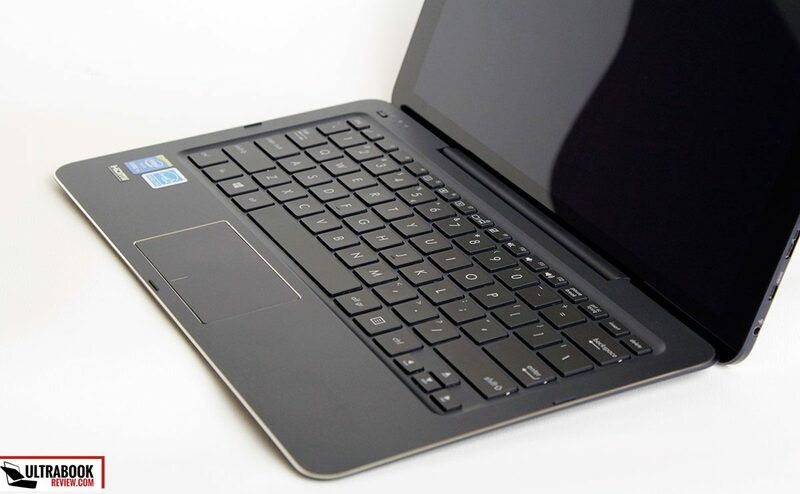 The T300 is the largest of the Chi family, a Windows 8.1 tablet with a 12.5 inch display, paired with a matching docking station that adds a keyboard and a tiny trackpad to the mix. 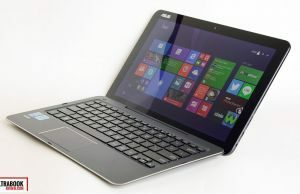 Latched together, the two parts make up for a versatile mini laptop, mostly similar to all the other Transformer Books Asus have been pushing lately. 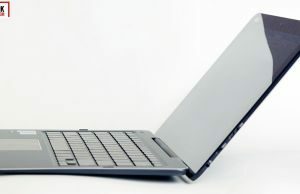 In fact, the Transformer Books are the most popular detachable 2-in-1s and the best sold throughout the last years. The Chi line retreads the steps of its predecessors in several ways, as Asus decided to create more premium devices, slimmer and lighter than ever before. But that took its toll on practicality, as well as price. The T300, the largest of the Chi family, sells for $699 and while that might sound like a great price for a modern ultraportable, not everyone will be entirely satisfied with what this machine delivers for that kind of money. But we’ll talk more about that below. Disclaimer: The reviewed Chi T300 is a final-retail model, identical to the ones you can find in stores. 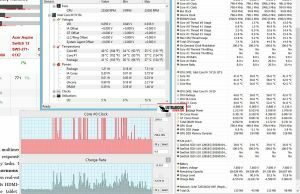 We got to test one of the configurations available here in Europe and used it as a daily driver for a couple of days, then sent it back to Asus once this post was published. Update: While initially selling for $699 and up, the Asus Transformer Book Chi T300 is much more affordable these days, with the base version being listed for under $500 in most online stores. Follow this link for up-to-date configurations and price offers. There’s little one could say wrong about the T300’s looks and craftsmanship. 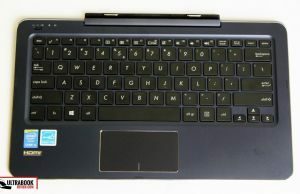 As a detachable, the Chi gets two distinct parts: the slate, that actually houses the screen, the battery, the hardware and all the ports inside, and the keyboard-dock, which in this case is just that: a Bluetooth keyboard. We’ll get to that in a bit. 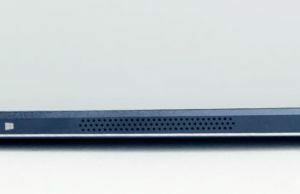 Back to the actual tablet, the Chi T300 is only 0.29 inches (7.6 mm) thin and weighs 1.6 lbs (0.7 kilos). That, alongside the smartly designed edges and the rubbery back make it easy to hold and use everyday, even with a single hand. It’s true that it’s is larger and heavier than full-size modern tablets, like the latest iPads or Galaxy Tabs for instance, but the increase in screen real-estate can actually come in handy, especially when browsing or going through documents in Portrait mode. With a 16:9 display though, the Chi is rather long and there’s still a fair amount of bezel, which makes the Chi somewhat less comfortable to use than a Surface Pro 3. Other than it’s slightly awkward dimensions though, this Asus Transformer Book is one of the best feeling Windows slates I’ve got my hands on. As a side note, I should add that the slate gets glass on the entire front face, covering the screen, and a dark-blue metallic matte shell on the back with shiny beveled edges. Combined with the slim silhouette, this leads to a device that will definitely turn heads and has the appeal to make its way in most environments whether schools or offices. 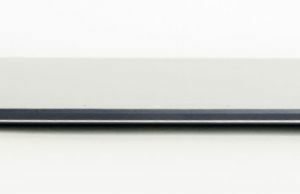 The same approach is used for the dock, whose interior is also crafted from blue-coated aluminum, with beveled edges around the sides and around the tiny trackpad. The dock’s back though is made from some cheaper plastic, which still feels fine though and should not bother you in any way. There is however one aspect you might not like about the Blue coated finishing on the Chi T300: it catches prints and smudges easily; it’s actually quite difficult to keep clean. Asus did include a microfiber cloth in the pack, but in most cases you’ll also need some cleaning wipes or a fluid to get rid of them. On top of that, I feel the coated aluminum might scratch and dent easily, so you’ll probably want to keep this in a sleeve, which is not included in the pack. Aesthetics aside, let’s turn our attention towards the practical side of this detachable. One thing I noticed a few seconds after I got it out of the box was that opening the Chi can be a bit frustrating, as there’s no ledge to grab the upper part and pry it apart from the dock. The slate itself is a little bit longer than the lower half, by fractions of a millimeter, so you can, with practice, grab it with your fingers and lift it up. But it will take some time to get used to. 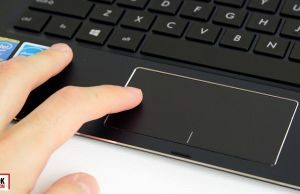 Other methods imply using your fingernails (which might break them or scratch the metal), or grab the device from the corners and use both hands to lift the screen. Either way, it works in the end, but it would have been so much simpler if only for a small ledge on the slate’s upper side. That aside, you’ll find that all the Chi’s ports and Buttons are lined around the tablet’s edge: The Power button sits on top, with a status LED next to it, the volume rocker and a Windows volume sit on the left, where you’ll also find the charging pin, the microSD card-reader and the two slots used to latch the slate to the dock are on the bottom lip, while on the right there’s the microphone/headphone jack, the mini-HDMI output and the micro-USB 3.0 slot. Two speaker grills are also placed on the left and right edges. The dock on the other hand merely gets a microUSB 2.0 slot, which might sound surprising, since most other Transformers featured a full-size USB slot or even a card-reader in here. Well, here’s why. 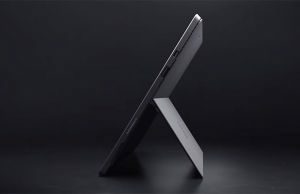 You might have noticed there’s no dock-connector on the CHI’s lower lip, and that’s because the tablet connects to the dock through Bluetooth. 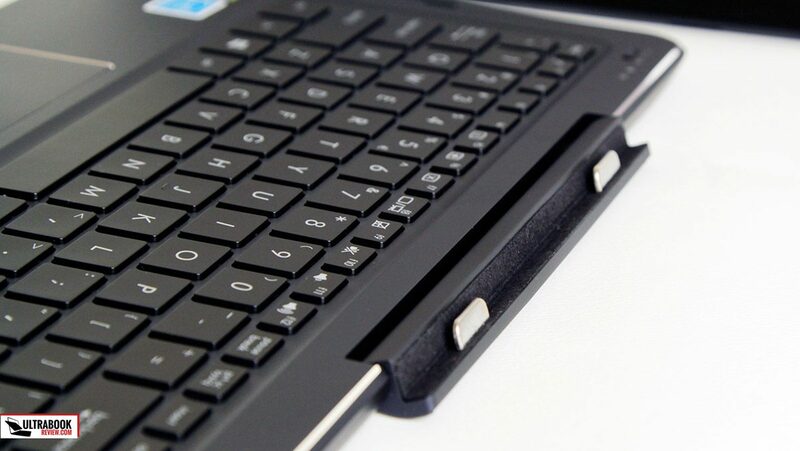 As a result, the dock is pretty much a Bluetooth Keyboard + Trackpad and nothing else. There’s no extended battery inside (well, there is a battery, but it’s used to power the dock, not to charge the one on the slate, like on other Transformers), there are no extra connectors for a HDD or SSD and no extra ports. 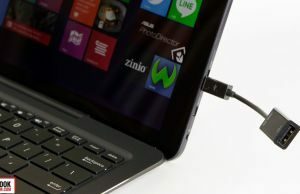 The micro-USB slot is only used for charging the dock’s battery, by connecting it to the USB slot on the tablet, with the included cable. It’s funny though that the port on the dock is placed on the left edge, while the one on the slate is placed on the right, which means you’ll require a long cable (included in the box) that goes alongside the entire tablet to get the dock charging. Not that big of a deal, but still, well… Not to mention that you won’t be able to use the USB port on the slate for anything else while the dock charges. You can of course charge the dock independently with a micro-USB charger, but none is included, you’ll need to provide one yourself. One final thing I’ll add here regards the micro-USB slot on the Chi. Previous Transformer Books did not include one, so that’s a nice addition. 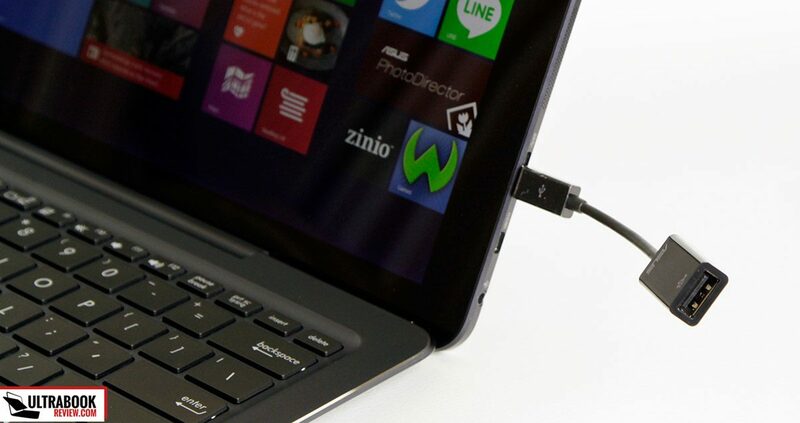 On top of that, Asus put an micro-USB 3.0 port, which will allow faster transfer speeds with the right connectors. 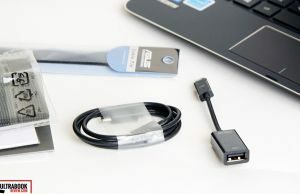 However, they only includes a micro-USB 2.0 to normal-size USB adapter in the pack. If they went to the faster solution, it definitely would have been nice to put an appropriate USB 3.0 compatible adapter in the box, that couldn’t have cost that much. Long story short, the Chi makes some compromises when it comes to IO and especially the dock. You’re always going to be confined to use adapters. 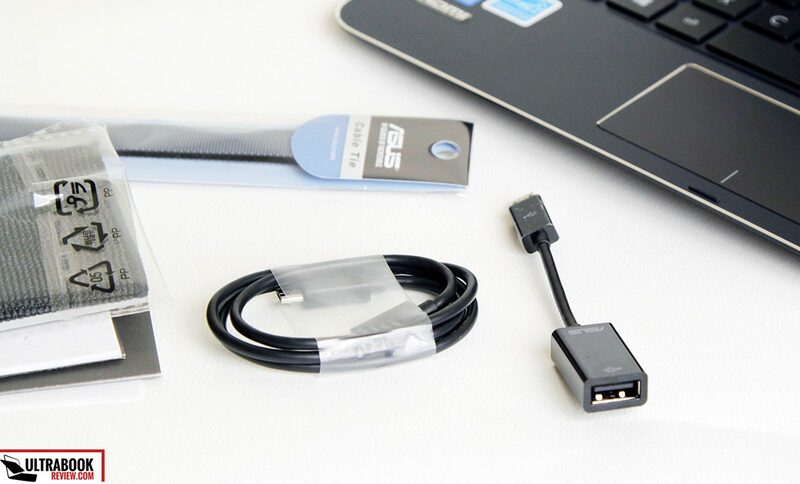 While one is included in the pack, you might want to buy your own, in case you want to use multiple USB connected accessories at the same time or need HDMI output. Back to the dock, I should also add that it works like a standard laptop base, providing good support for the actual slate. Despite the upper side’s weight, the device is well balanced and does not feel top-heavy, even with the screen reclined as much as possible. Which isn’t that much though, as you can see from the pictures. 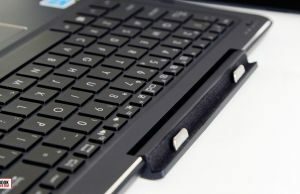 The rubber feet on the belly keep the mini-laptop firmly in place on a flat surface, and there are two tiny rubber feet on the hinge as well that lift the keyboard when the screen is leaned back. These two however feel flimsy and I fear they’re going to peel off easily. So you might want to glue them in place with some proper stuff. Speaking of the hinge, you should know that Asus chose magnets for the latching system and they actually work great. The previous implementations had a mechanical button that you had to press in order to attach or detach the two elements, which is no longer a nuisance here. The magnets help align the slate with the dock and a simply placing the tablet over the hinge will latch the two parts together (and then you just have to pull out the slate a bit firmer to unlatch it). The connection is strong and you’ll be able to lift the Chi from the screen without the bottom part falling off. However, I did find a nit: the screen does not lock properly in this mechanism and as a result, wobbles, which can get annoying when poking or swiping it in everyday use. 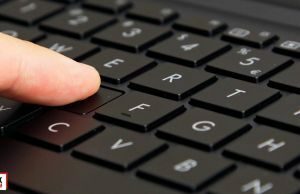 The keyboard though is surprisingly good and there are two aspects that make a difference when compared to other keyboards on very slim laptops: the stroke and resistance. 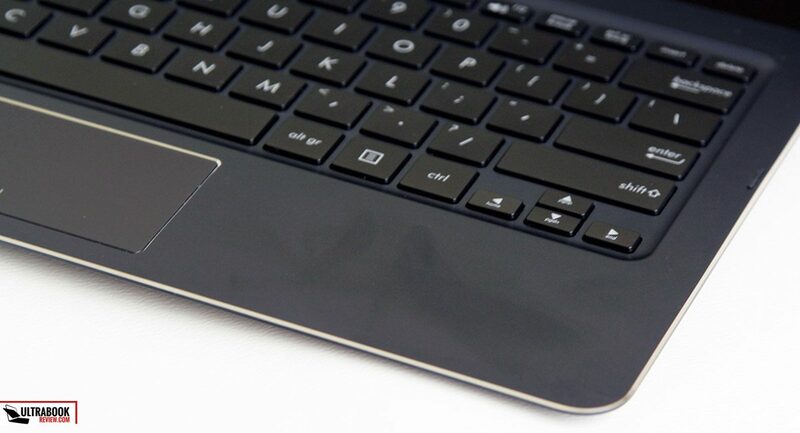 These keys actually travel deep into the frame (for a device as thin as this one of course) deeper than the ones on the XPS 13 2015 and deeper than on the UX305 (at least that’s my impression, I couldn’t compare the two side by side). As a result, I was able to achieve solid typing speeds of above 80 wpm with almost no mistakes after only a couple of minutes of getting used to it. That’s great. 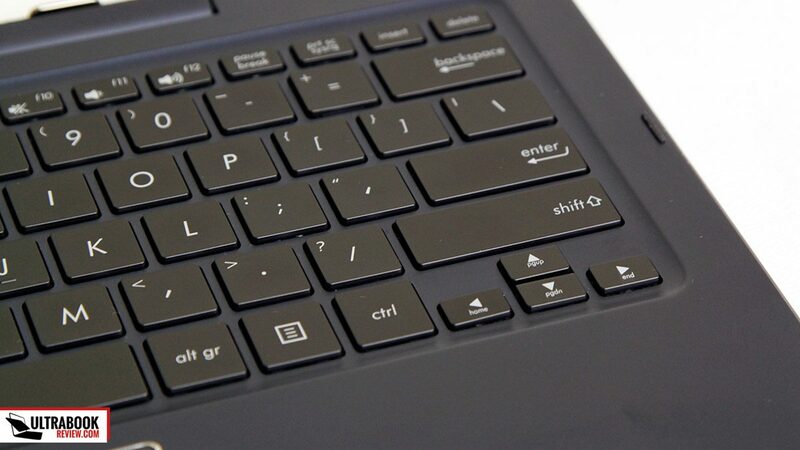 Asus went for a standard layout with full-sized and proper spaced keys (except for the arrows and the top-row of Function keys), so nothing fancy here. 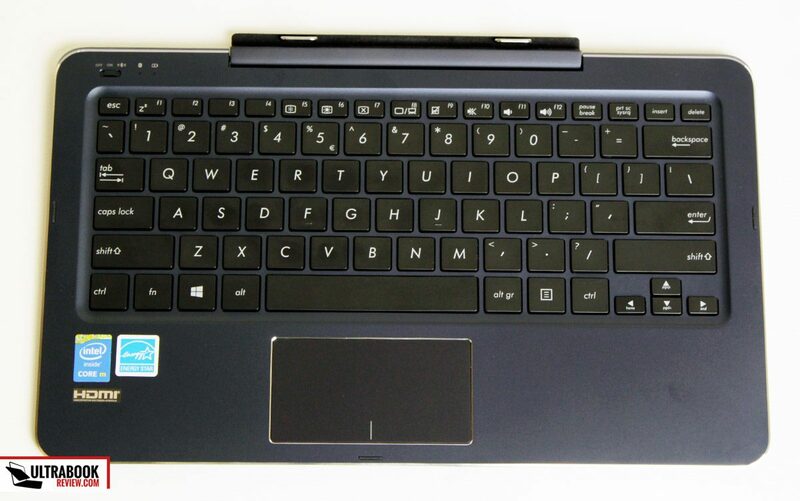 On the other hand, the keyboard is not backlit and is quite noisy, which can be deal breakers for some of you. And since this is a Bluetooth keyboard, there are a few other things I need to add. 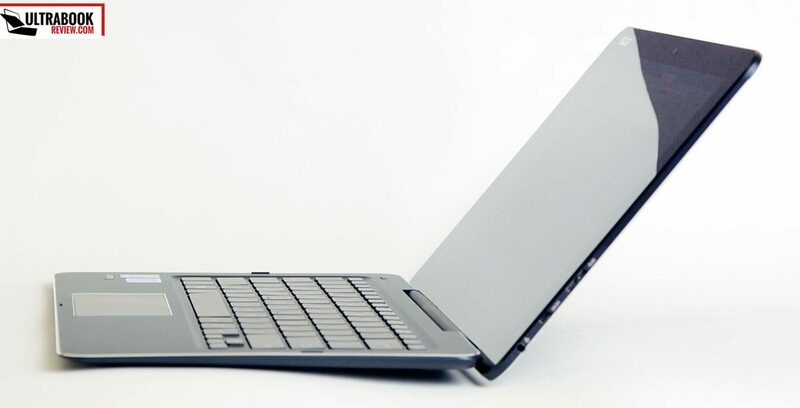 First, the slate does not have to be latched to the dock in order to use the keyboard and trackpad, it can also sit on a stand or wherever you might want. Second, the dock will probably work with other Bluetooth enabled devices. I didn’t get to try it, but I don’t see why it shouldn’t. Third, the keyboard will enter a Stand-by mode if not used for a while. 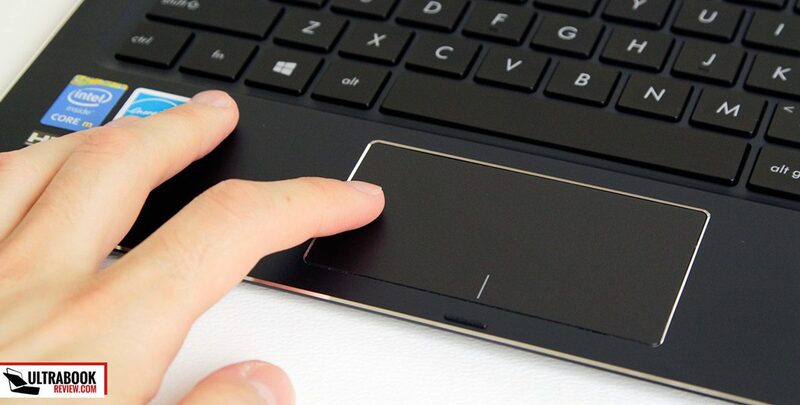 In order to get in back going again, you’ll have to press a key or the trackpad and then wait for a few seconds (around 5) for it to activate (the Bluetooth LED turns ON for a second when the dock becomes active). During this time the touchpad/keyboard might work, but incorrectly. Occasionally it might actually take even longer for the dock to initialize properly, 15 and even 30 seconds, and during this time the trackpad will react slowly or you’ll see delays in registering strokes. Not sure why this happens, it’s slightly annoying, but with a bit of patience everything should work out fine in the end. A small trackpad is placed just beneath the keys and small isn’t probably the right word here: this thing is tiny, which will take some time to get used to. The touch surface is smooth though and nicely set-apart from the palm-rest by shiny beveled edges and on top of that, the surface is responsive and accurate, regardless if you’re going to swipe, tap, click or use gestures on it. As most other Asus Touchpads though, this one is also paired with the Smart Gesture software that offers no way to adjust tap speed, tap pressure and overall cursor velocity. As a result, I found the trackpad slow for my liking and a fair number of taps taps were not recognized properly. These could get frustrating if I’d be using such a computer as a daily driver, especially since connecting an USB mouse is not necessarily a solution, since it will require me to use the adapter cable and will block the single available USB slot. So yeah, overall I’m left with mixed feelings here. On one side the trackpad mostly does what it’s designed to do, but on the other it’s too slow and lacks the tuning possibilities needed to cater it to my taste. The Asus Transformer Book Chi T300 does get a touchscreen though, which means that you might not get to use the trackpad that often. Our version came with the Sharp 2560 x 1440 px panel, which on a 12.5 inch screen translates to a great pixel density. 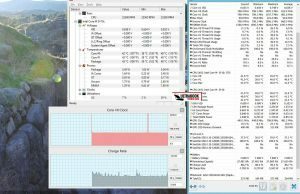 Not all programs will scale properly though, which is a common issue on high-resolution Windows running devices, but those that do will look stunning. The panel is not just sharp, it’s also bright and vibrant, with excellent viewing angles and perfect touch response. However, there are a couple of things to add here. First of all, out of the box the Vivid mode is automatically selected in Asus’s Splendid Utility, which leads to over-saturated colors. Even if you turn it to Normal, that colors will remain overly popping and the screen keeps a slightly Blueish tint, with a colder than normal White Point, as the panel is just too saturated. 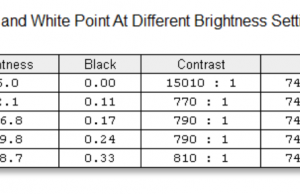 That’s not necessarily something the average user will complain, but it’s something you need to be aware of if you require a color-accurate screen. 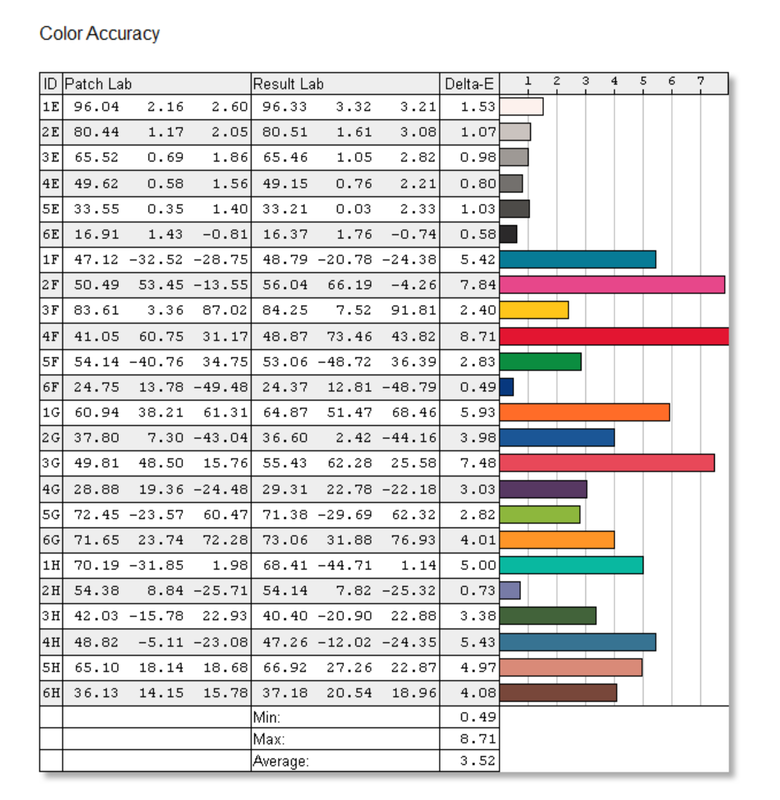 A calibration run with the Spyder4Elite will address the WhitePoint, but won’t do much about the colors. 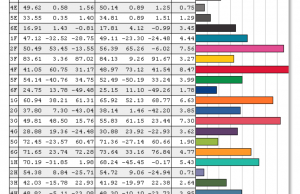 Using other sensors and tools might have better results, but this one did not on the Chi. Check out the recorded numbers below. 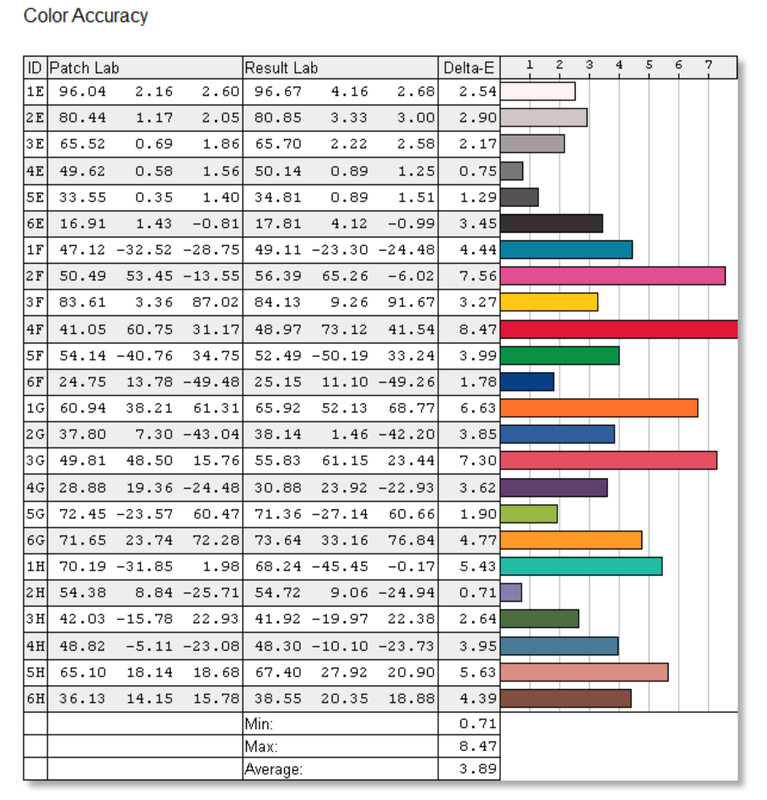 Average DeltaE: 3.89 uncalibrated, 3.52 calibrated . I should also add that Auto Brightness is activated out of the box and you might want to turn it OFF if you like to manually control your screen’s Brightness. 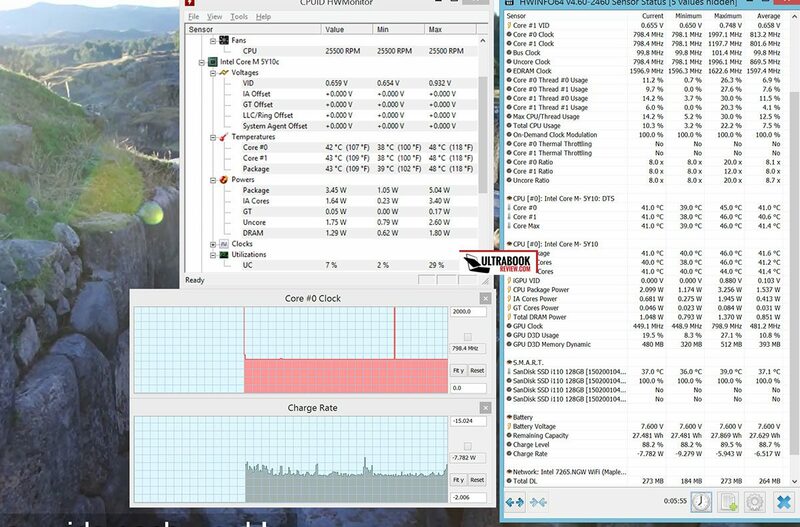 Also, you might want to turn off the Display Power Saving Technology and Panel Self-Refresh functions from the Intel HD Graphics Control Panel, under the Power tab. Last but not least, there is a fair amount of graininess on this screen, visible especially when browsing and reading texts. Whites and very light colors seem somewhat muddy, which is usually a characteristic of matte panels and not something I’d expect from a glossy screen like this one. It’s probably not going to be a big deal for most of you, but if you’re used to higher quality glossy displays (like the one on a iPad, which I used for comparison), you will notice this graininess too. The Chi is available in a bunch of different configurations and our test version includes an Intel Core M 5Y10c processor, 8 GB of RAM (dual-channel) and a 128 GB SSD (a Sandisk i110 chip). 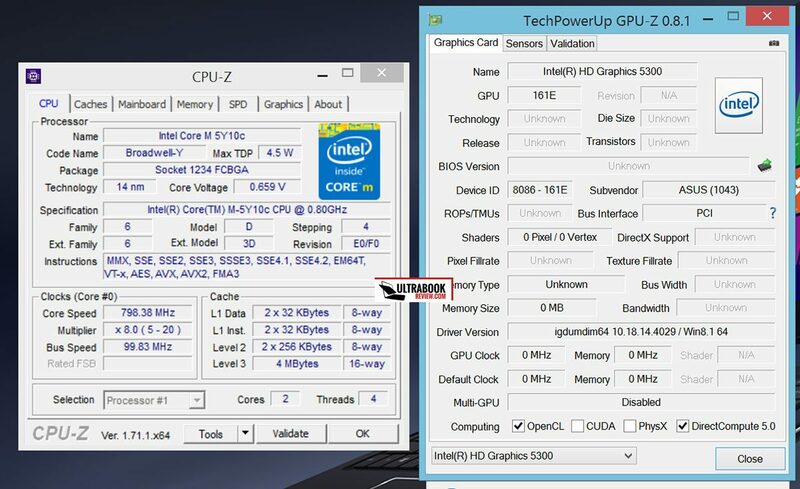 The CPU is paired with the Intel HD 5300 integrated graphics, a mid to low-level solution that provides good multimedia performance, but will struggle with most modern games or any other demanding graphics applications. The memory and the SSD are both soldered on the motherboard and are thus non-upgradeable. 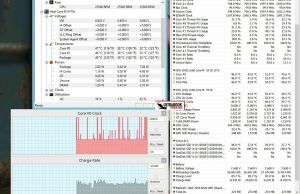 The SSD is quite slow by today’s standards, but that won’t have a major negative impact in daily use. Only 92 GB of free-space is available for out of the box (and will quickly diminish once you install the Windows updates, which take at least an hour). There’s something rather curious about the processor though. As a Core M CPU it has a theoretical TDP of 4.5 W. However, in this case the 5Y10C draws as much as 12 W in certain conditions. 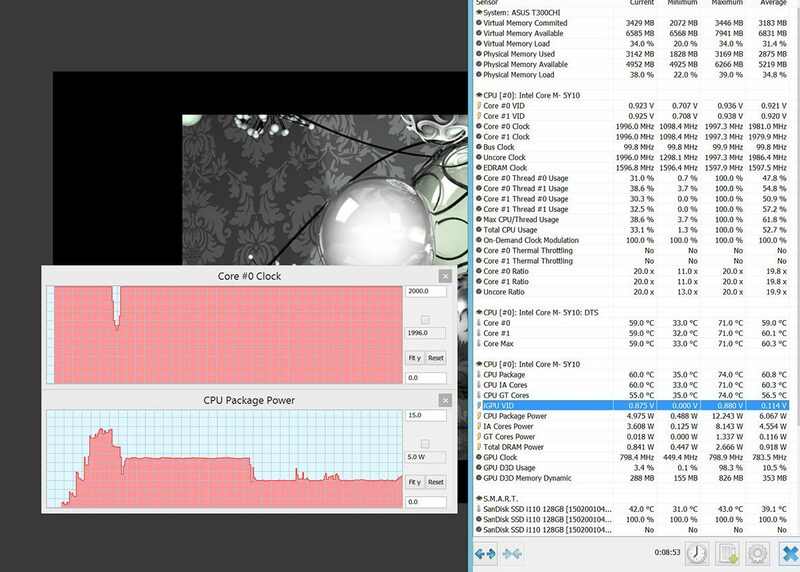 For instance, when running the OpenGL part of the Cinebench R15 test, HWInfo shows the CPU Package Power reaching values of around 12W, while when running the multi-core CPU test the Package Power stabilizes around 7.5-7.6 W for the entire duration of this benchmark. Only when performing the Single Core CPU pass the Package power drops below the designed TDP of 4.5 W.
Such high Package Power numbers are not necessarily visible in everyday use, but can be observed when performing demanding activities, like running games. 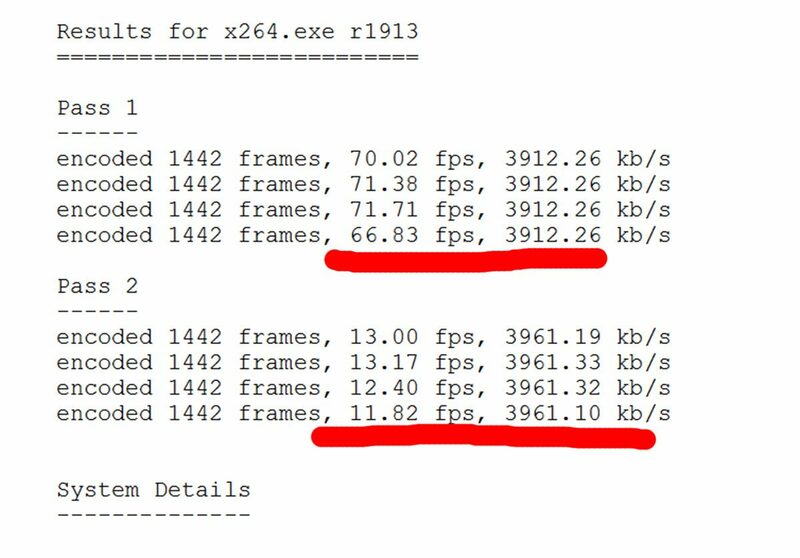 Those however cause the CPU to throttle quite fast, something I’ve also noticed if I ran synthetic tests like the X264 Benchmark 4.0 several times in a row. For instance, Need For Speed Most Wanted runs surprisingly well on this computer for a few minutes, averaging 22-25 fps (HD resolution, LOW details). However once heat builds up (and that happens quickly) the CPU’s frequency quickly gets capped to 800 MHz and the Core Package Power drops continuously to the point where the games becomes barely playable anymore (under 10 fps in similar conditions). That happens over the span of about 20 minutes. But what do all these mean for the average user? 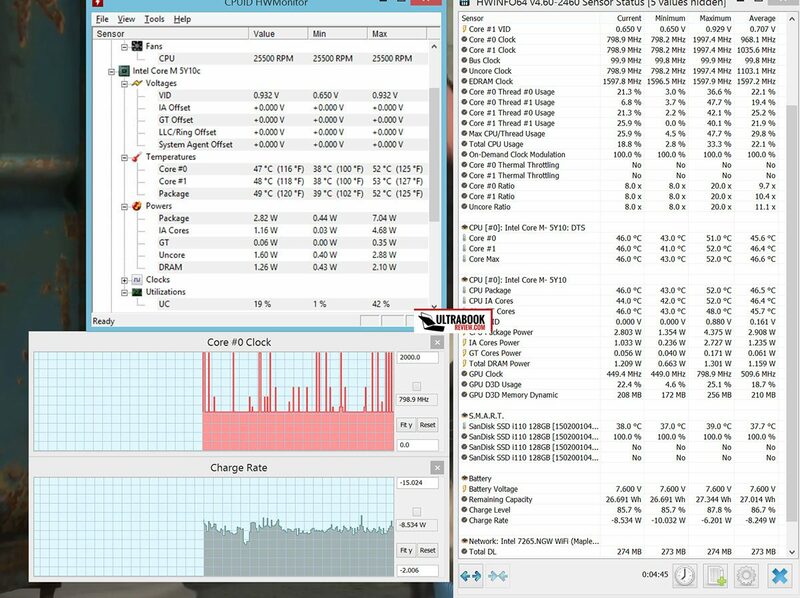 Mostly one thing: this tested Chi T300 felt snappier than the Zenbook UX305 tested a while ago, and in both cases I dealt with final retail models. 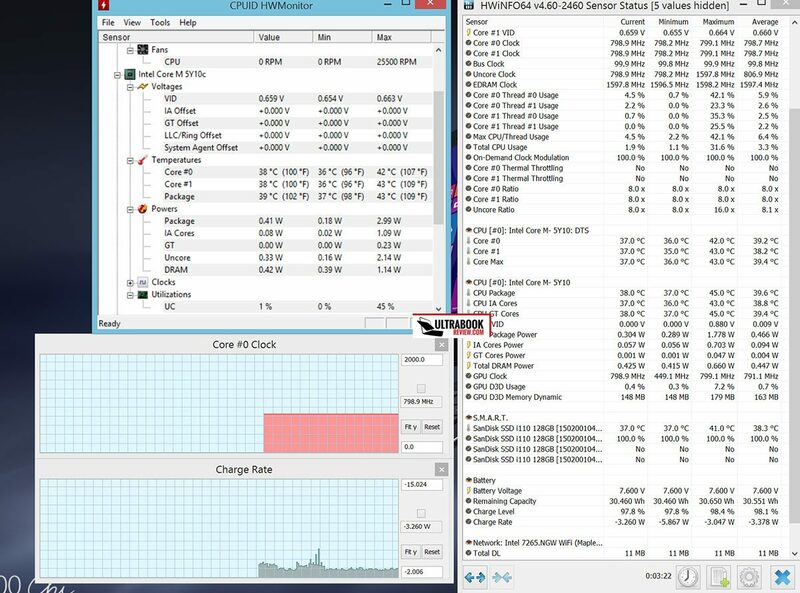 That was visible in everyday use, where this machine was more responsive and overall faster than any of the Core M devices I previously tested. 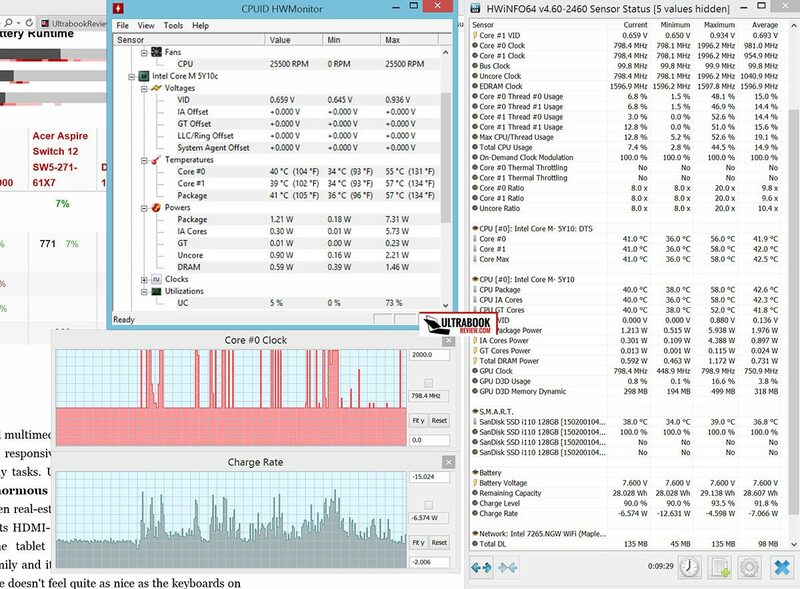 However, the Chi T300 is not more taxing on the battery, as the energy consumption in various scenarios (browsing, watching movies, etc) for this Core M 5Y10c configuration kept mostly on par with the Zenbook (powered by the Core M 5Y10a CPU). 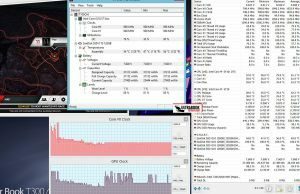 CineBench R15: OpenGL 26.22 fps, CPU 211 pts, CPU Single Core 83 pts. 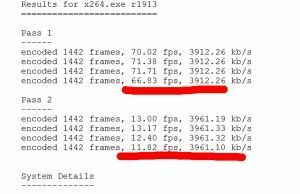 x264 Benchmark 4.0: Pass 1 – 69.98 fps, Pass 2 – 12.59 fps. 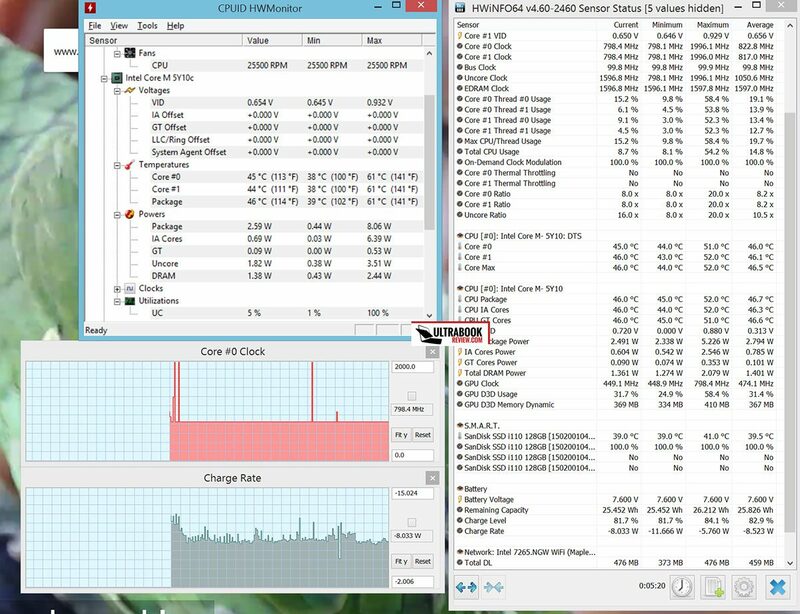 Those numbers are close to what a Haswell Core i5 configuration can score. I can’t say for sure if that’s what you should generally expect from a Core M 5y10c implementation, but I was definitely surprised here in a good way. 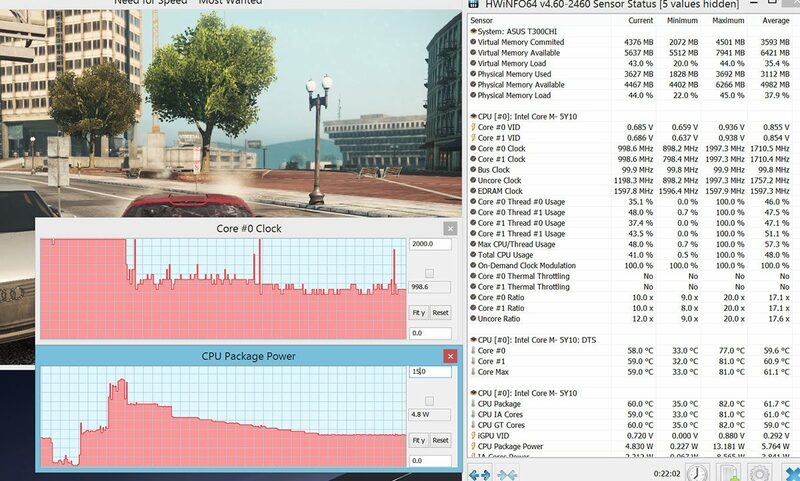 I wasn’t able to run any advanced gaming tests on the Chi or a stress test, but based on what happens in Need For Speed Most Wanted, I’d expect both the CPU and the GPU to throttle quickly under intense load. 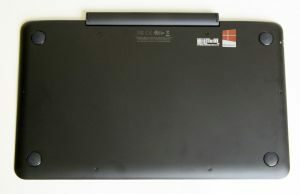 That however shouldn’t actually matter much, since the T300 Chi is not a computer meant for heavy load, but for daily use, for browsing, for editing Office documents and presentations, for watching movies and listening to music. And handles does tasks brilliantly, again, to my surprise. As a side note, I’ve seen some other reviews complaining about poor performance on battery, compared to what the device can deliver when plugged in. I haven’t tried games on battery, but everything else I’ve tried worked smoothly, including 4K streaming. 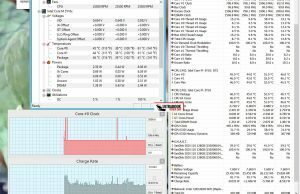 The Chi T300 is fanless, like most other Core M machines and that translates in a dead-silent experience, but also in rather high case temperatures, both in everyday use and when tackling demanding tasks. 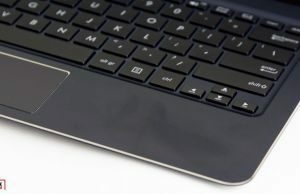 All the hardware is hidden behind the screen, and that has both a negative and a positive outcome, as it causes the actual panel to get hot, which might lead to unwanted effects on the long term, but keeps the entire dock nice and cool, which makes the Chi T300 comfortable to use in laptop mode no matter what you’re throwing at it. In tablet mode on the other hand the heat can become an issue even when watching movies or browsing, since both the glass on the front and the metal on the back will heat up quite fast. Check out more details on temperatures in these pictures below. 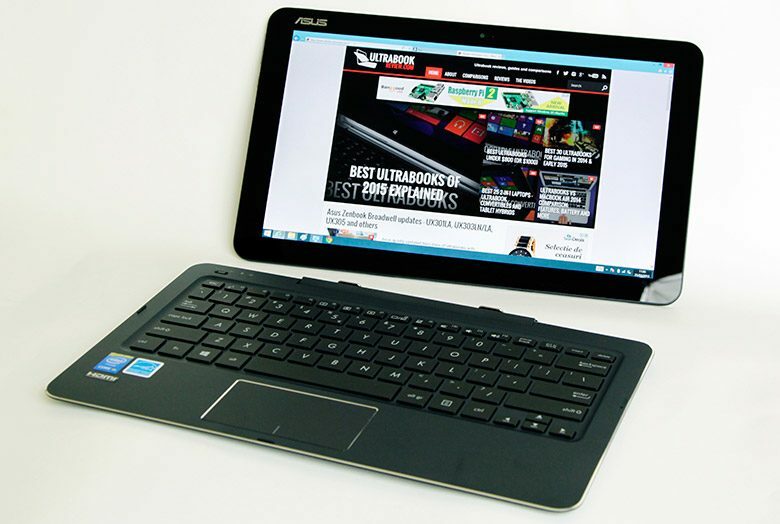 Connectivity wise the Asus Transformer Book Chi T300 offers Wi-Fi and Bluetooth. 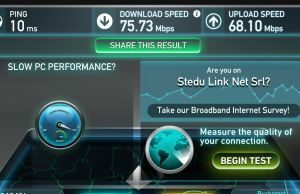 Asus Went with an AC solution, the recommended Intel 7265.NGW Dual Band chip, which provides good enough speeds for daily use, as long as you have your router close by. 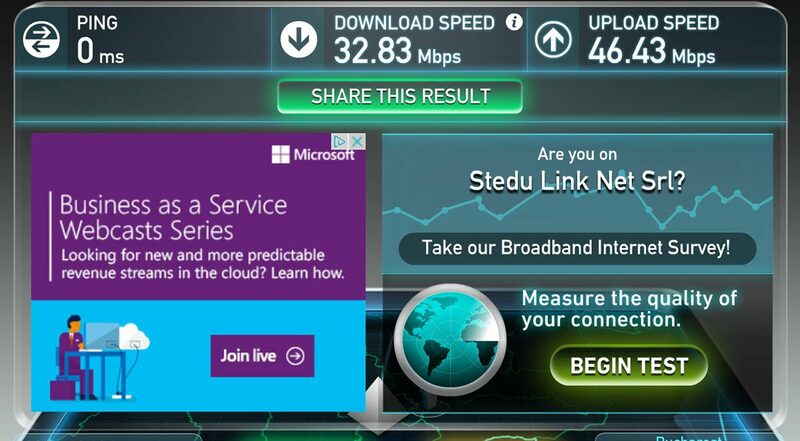 And that’s because the Chi reached transfer speeds of about 75 Mbps right next to my router, but those dropped to only 30 Mbps at 30 feet with 2 walls in between. 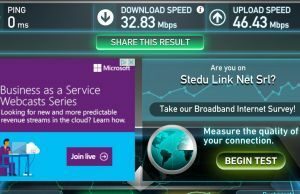 In practice the Wi-Fi was good enough to sustain 4K Youtube streaming without buffering, but if you need to download stuff fast of the Internet or spend most of your time in areas with dodgy signal, this machine might not be exactly what you need. On top of that, there’s no GPS and no option for a cellular capable model, but you can attach one via USB if you want to. The next order of business is the speakers, placed on the slate’s right and left edges and fairly easy to muffle with your hands when using the slate alone in Landscape mode. I wasn’t expecting much in terms of audio quality (and the Chi doesn’t offer much), but the sound coming out of those grills is decent, with almost no distortions and limited vibrations at max volume. My biggest gripe with them is the lack of volume; the speakers are simply not loud enough. Last but not least there’s the webcam to talk about, placed on top of the display and flanked by two microphone pins. 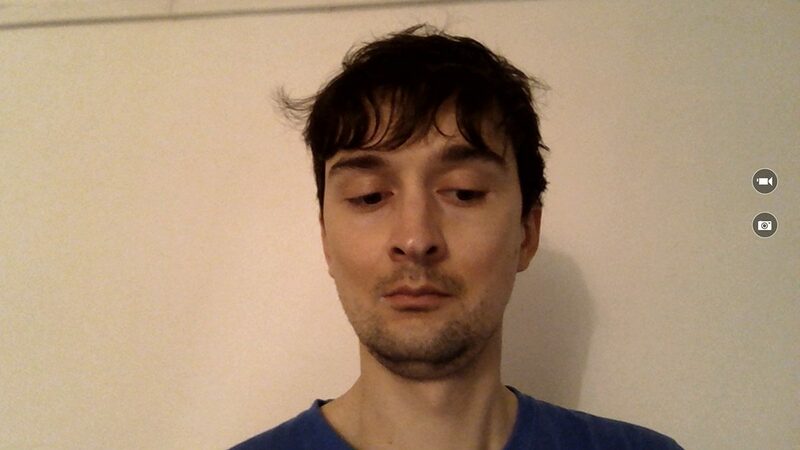 It’s a 720p camera and actually delivers fairly good pics as long as you use it in fair light, so it’s more than adequate for Skype calls or hangouts. In poor light everything gets washed out and noisy though (as expected). Asus put a 32 Wh battery on the Chi, which isn’t bad, considering all of its features are tucked behind the screen in that slim body. 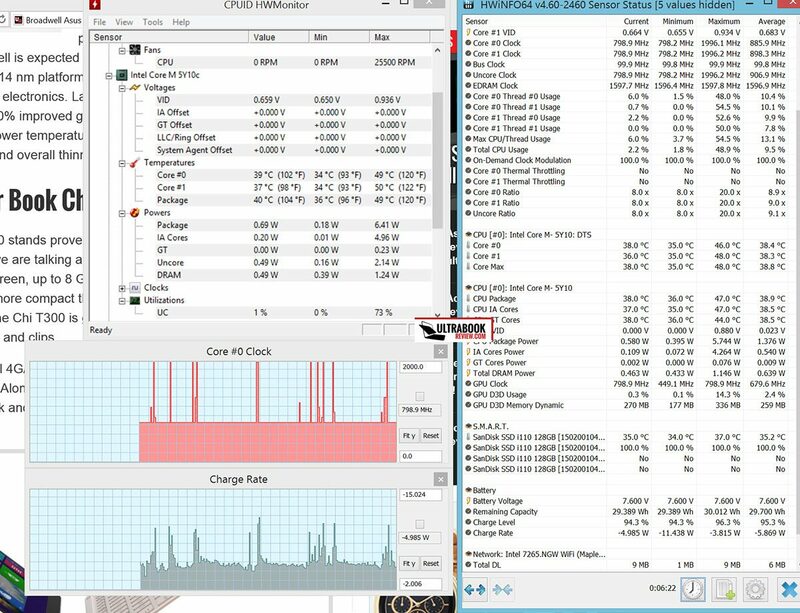 But as seen in my previous encounters with the Core M platform, that won’t translate to very long runtimes, despite the fact that Asus claims the Chi will run for 8+ hours on a charge. It will, but only if you keep it idle. Otherwise, here’s what to expect (setting the screen’s brightness at 50% equals about 135 nits, which is the closest I could get to my target 120 nits used for battery testing). 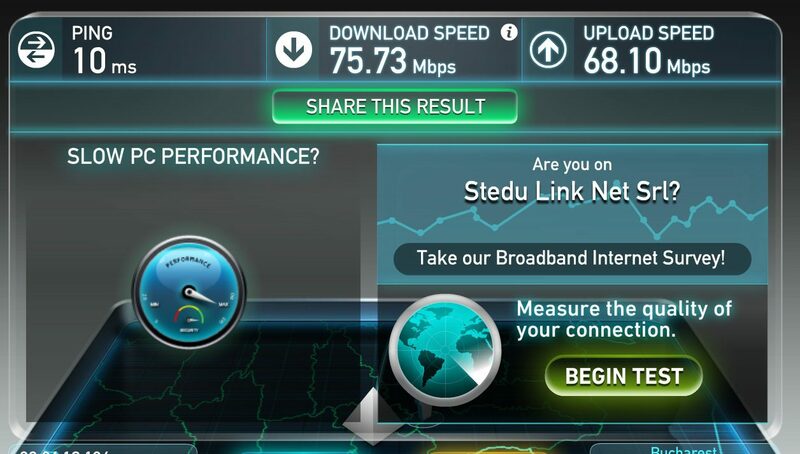 8.5 W (~3 h 30 min of use) – 1080p fullscreen video on Youtube in Chrome, Balanced Mode, screen at 40%, Wi-Fi ON. Definitely not impressive, but at the same time not a surprise for me. 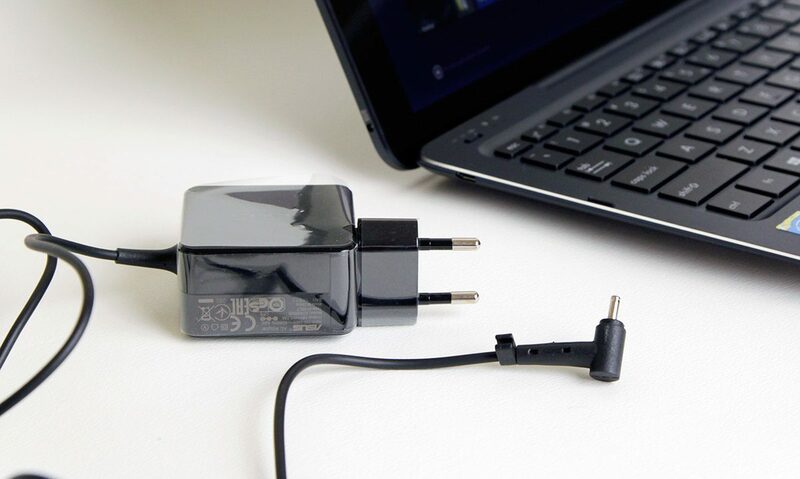 The tablet is paired with a compact 20 Wh brick that takes under 2 hours to fully charge the battery. 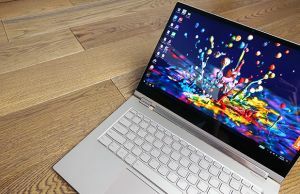 It’s important to add that the base versions of this laptop will ship with a 1920 x 1080 px IPS display that offers good contrast, viewing angles, and color reproduction, according to some of the other reviews out there. The lower resolution screen will however have an impact on battery life, so you can expect that those version equipped with the FHD panel to last for 30-60 minutes longer than the model tested here in the various scenarios mentioned above. There’s another battery inside the dock, designed to power the dock only, and while I can’t tell for sure how long it will last, I can tell that I’ve used the laptop for many hours for a couple of days and only managed to go through 40% of it. So it’d reckon you’d have to charge it once a week or perhaps once every 2-3 days if you do a lot of typing. 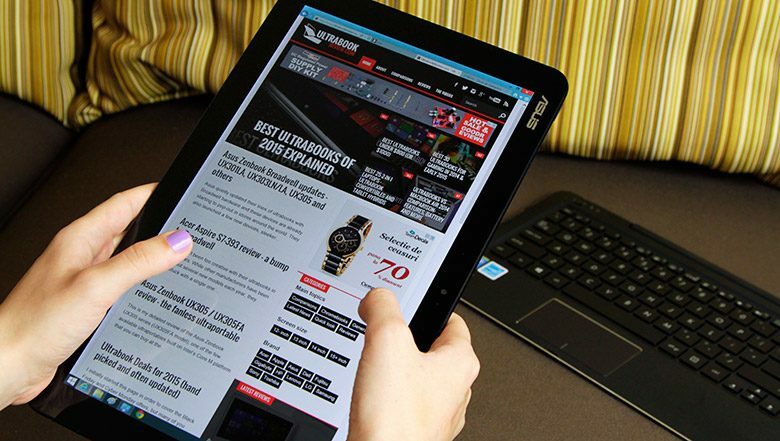 The Asus Transformer Book T300 Chi is already available in stores around the world. Initially, the base configuration was listed at $699 in the US and included a Core M 5Y10 CPU, with 4 GB of RAM and a 128 GB SSD, plus a FHD touchscreen. The same model sells for under $600 in most shops (as of July 2015) and Microsoft Store also offers a Signature Edition model with no bloatware preinstalled for exactly $599 (as of 13.07.2015). In fact, the Chi T300 has got even cheaper in the last few weeks and is now listed for under $500 in most webstores (as of early September 2015). Follow this link for up-to-date prices at the time you’re reading this post, as well as details on all the available configurations. 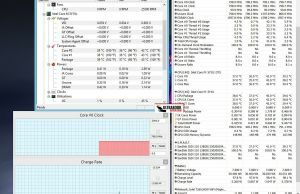 A higher end $899 version is also available, with an Intel Core M 5Y71 processor, 8 GB of RAM, a 128 GB SSD and the WQHD screen tested in this post. 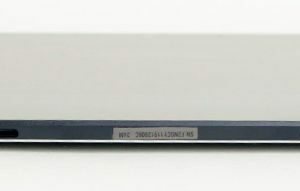 In Europe the base model starts at 649E and includes 4 GB of RAM and 64 GB SSD storage, while the model tested here has a list price of around 900 Euro. Both will get more affordable in the following months. Let’s consider the Chi’s rivals for a bit. 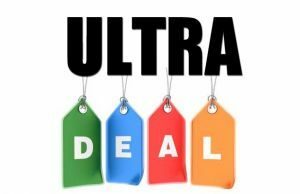 $699 will buy you a better specced Asus Zenbook UX305 (Core M 5Y10, 8 GB RAM, 256 GB SSD, matte non-touch screen) or 2-in-1s like the Acer Aspire Switch 12 or a Dell Venue 11 Pro 7140 (both with Core M 5y10, 4 GB RAM, 128 GB SSD, touchscreen configs). 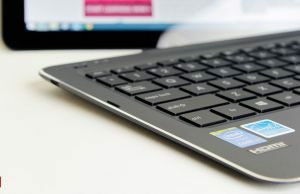 The Zenbook is obviously a great pick if you don’t need the convertible form factor or the touchscreen, while the Aspire Switch is a worthy alternative, a heavier device, but with a larger battery and extra ports. The Dell Venue 11 is just as light and sleek but has a smaller footprint and offers digitizer support. The base price won’t get you the dock though, so in reality this device is pricier than the Chi. 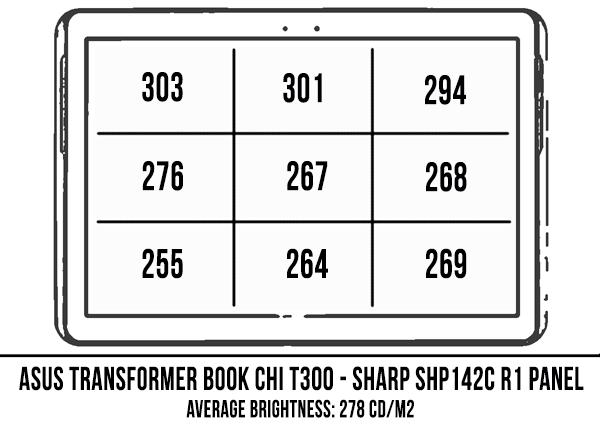 Compared to other premium Core M machines like the Lenovo Yoga 3 Pro or the new Apple MacBook , the Transformer Book Chi feels like a steel though. However, if 4 GB of RAM are not enough for you or just want a more powerful 2-in-1, you’d have to aim to the higher end configuration that MSRPs at $899. 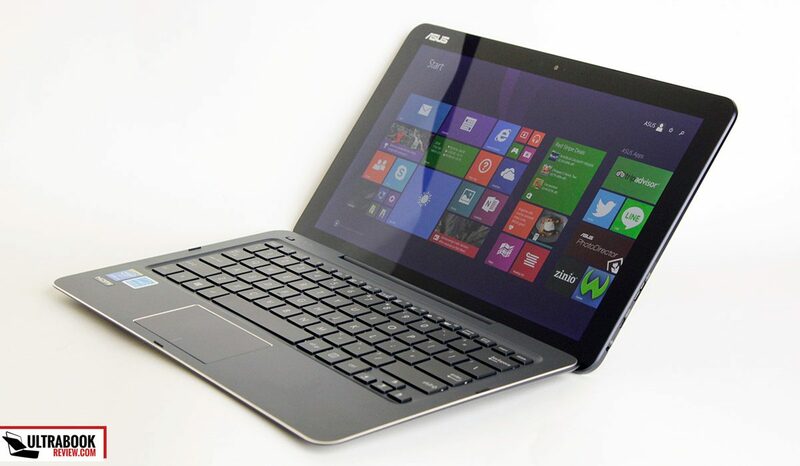 That’s stepping up into the fields of devices like the Microsoft Surface Pro 3, HP Spectre X360 or the Dell XPS 13 2015. However, $899 will only get you the 4 GB of RAM/ 128 GB SSD configurations of those, and you weren’t going to settle for only 4 GB of RAM in the first place. So you’ll have to throw a $100 extra to get those. 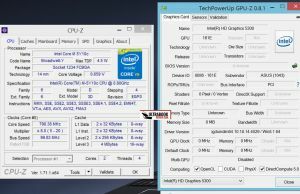 Of course, choosing a Broadwell U laptop you’ll end up with a more powerful and in most cases, longer lasting machine. But you’ll throw the fanless experience down the gutters and you’ll end up with a slightly larger and heavier machine. 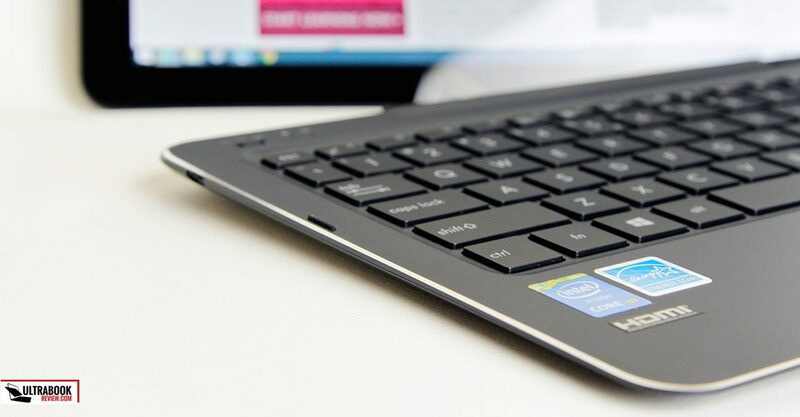 At the end of the day, the Transformer Book T300 Chi is one of the most interesting 2-in-1s of the moment. In fact, it could have been an amazing device for many average consumers, for those of your who only need a multi-purpose tablet/laptop for everyday use and don’t mind spending a bit more to get something sleek and beautifully crafted. But it’s not, despite getting so close, for one reason: battery life. Personally, I wasn’t surprised this thing can only go for around 4-5 hours of daily use on a charge. That would have probably been OK several years ago but not in 2015, at least not in my book. On the other hand, if you’re fine with this particular aspect, and don’t mind much about the rather high case temperatures, the limited IO and muted speakers, then go get yourself one of these. 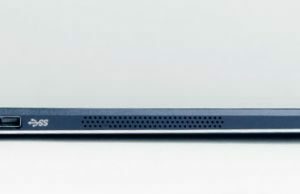 The Transformer Book Chi T300 has plenty of things going right for it; it’s really fast for such a sleek machine, is fanless and is definitely a device that will turn heads. But it’s not for everyone. 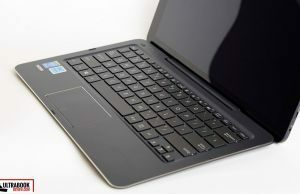 And I know that’s how I wrapped-up my review of another Core M powered machine a few weeks ago, but that’s just what I feel about Core M laptops these days. 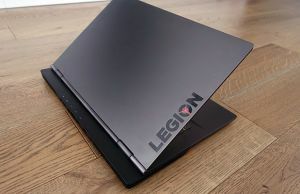 If you absolutely need a sleek and noiseless laptop, devices like this Transformer Book Chi or the Zenbook UX305 could be great picks, as long as you’ll use them lightly. 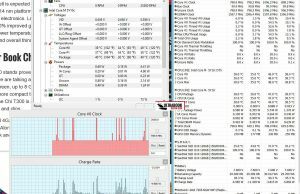 On the other hand, if you do want a snappier and overall more capable device, you’ll be better off with a Broadwell U or even a Haswell U ultrabook. Anyway, we’re going to wrap this up here, thanks for sticking with me. 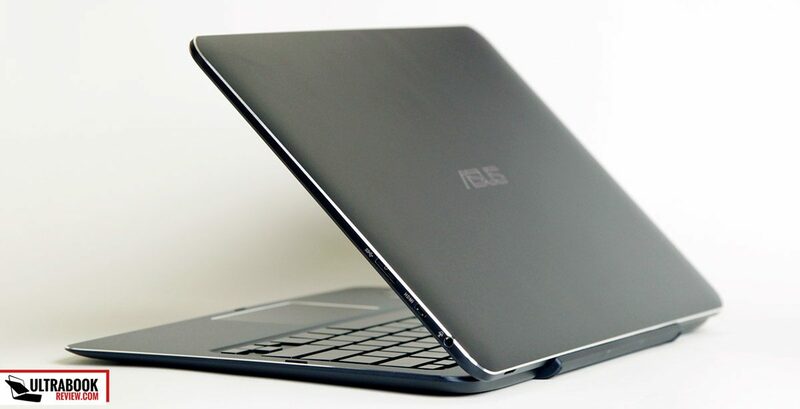 Please let me know what you think about the Asus Transformer Book T300 Chi and if you have any questions or comments, the comments section is open and I reply within a couple of days. Douglas Black contributed to this report. Why not test a FHD version? 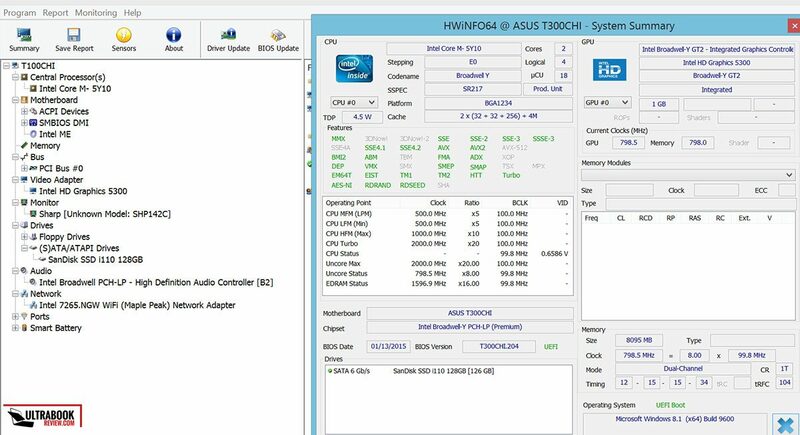 Anandtech’s test of the XPS 13 shows that there can be a difference of nearly 50% between QHD and FHD. I bet ya FHD would show much closer to their 8H claim. QHD is a waste of money AND battery life. Your games will run slower anyway so why opt for a crappier alternative? Oh NVM, it shows a difference of 50-70%. 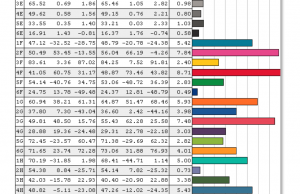 That translated into watts is 2.5-3.3W, which is substantial! Also Dell’s own testing shows in certain scenarios there might be nearly 2x difference in battery for QHD and FHD. I agree, i’d opt for the FHD model as well, but some people will appreciate the sharper screen more. 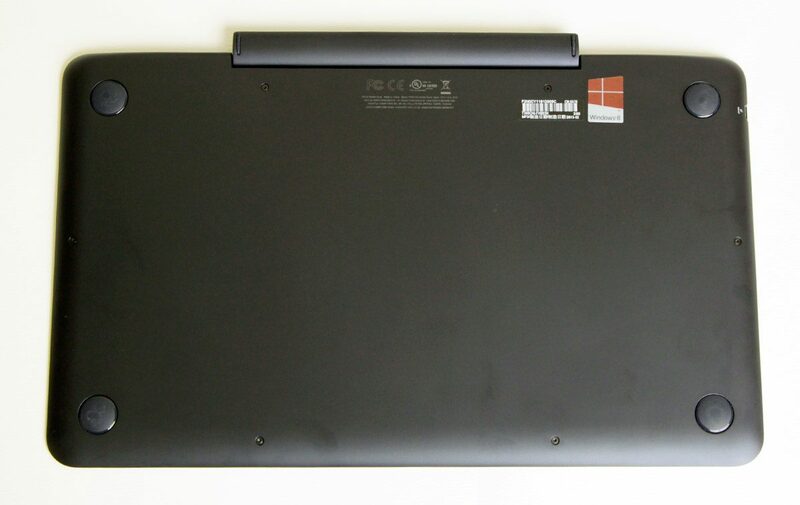 I will update the battery section with details on the FHD model though. I still can’t believe how Intel put out such a poor chip. Intel totally lied in its pre-release presentations. You either get a mediocre battery life device with piss poor performance if set at 4.5W, and atrocious battery life with mediocre performance when set at 7-9W. I can’t believe even more how others don’t notice this. Perhaps this escapes them because its not relevant to their purchasing power. 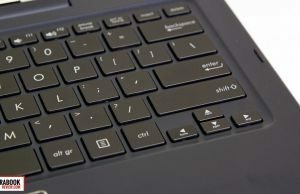 I think it is a massive blunder by ASUS to design a 1.57 lbs tablet and then match it with a 1.58 lbs DUMB keyboard that apart from being a BT keyboard is NOTHING but a massive counterweight and a hinge. 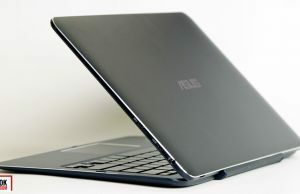 For goodness sake, why is ASUS not producing a version that just uses a lightweight type cover? 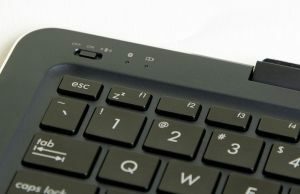 If the keyboard/”dock” is not going to provide any functionality except to support arbitrary screen angles, it is not worth lugging around at 1.58 lbs, DOUBLING the weight of the device. I just can’t believe it. 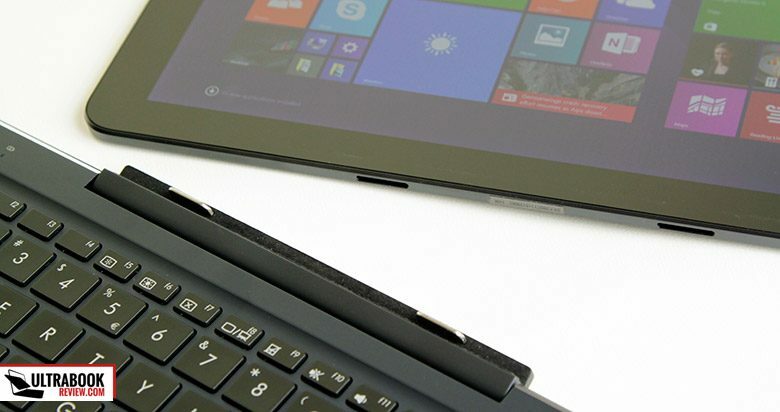 The only way it makes sense to have a 1.58 lbs keyboard is if it includes extra battery for the tablet, extra disk storage, ethernet, more USB ports and a sufficiently high-speed electrical or wireless connection to the tablet. Units mismatch. You probably meant power (watts), not energy (watthours). Hmmm, yes, those are Watts consumed in one hour. I guess I should change this in all the posts from Wh to W/h . > Hmmm, yes, those are Watts consumed in one hour. > from Wh to W/h . No, no, you are mixing terms like power (W = Wh/h), energy (Wh, Joules), and (elsewhere) also battery capacity measured in Ah or Wh. The W/h (Watts consumed in one hour) makes no sense at all. The power is Watthours consumed in an hour (which is the same as Watts, time units cancel out), P=E/t. So in the above text seems to me you are referring to load power under different conditions, so these should be plain Watts, i.e. 3.5 W when idling. Yes, you’re actually right. My physics teacher would be ashamed of me, as I am now. Thanks for your clarifications, much appreciated. Our views on this couldn’t be further apart. This is by far my favorite 2 in 1 computer. 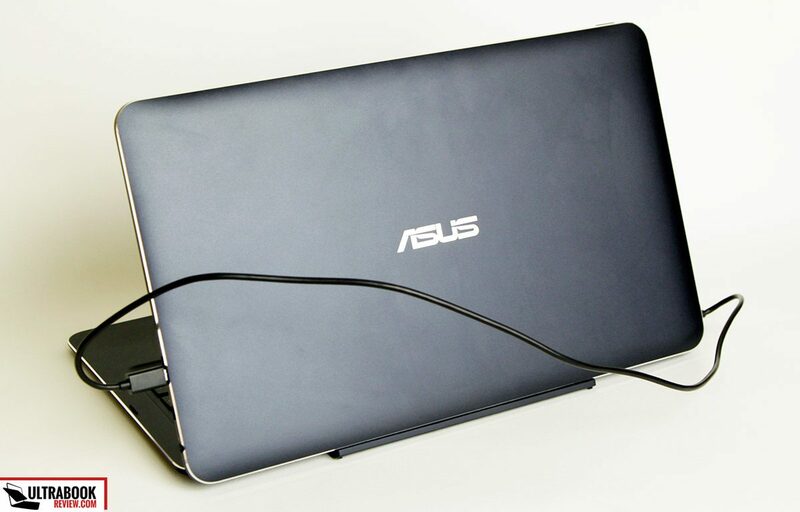 The only complaint that I have about it is the weight of the dock, it seems Asus could have provided a different solution to stabilize it. Other than that single issue I am totally in love with this 2in1. That being said, the only thing I really use a computer four easy editing Microsoft documents and surfing the web. 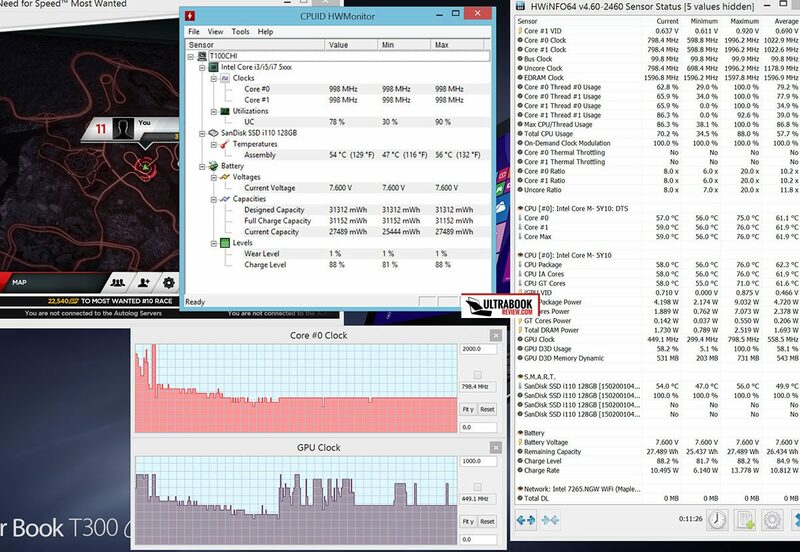 I don’t really stress out a computer with games or the like. 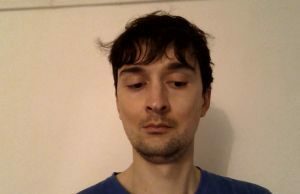 So I guess any computer would do for me. Using a bluetooth mouse (for me logitech M535) is far more pleasure than trackpad, stylus or finger. And no little thing to plug into the USB. The manual is a joke, it does not exist! don’t explain anything !